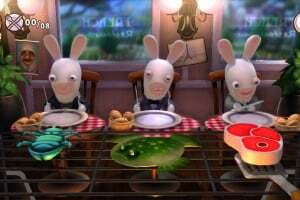 Worth your launch day carrots? 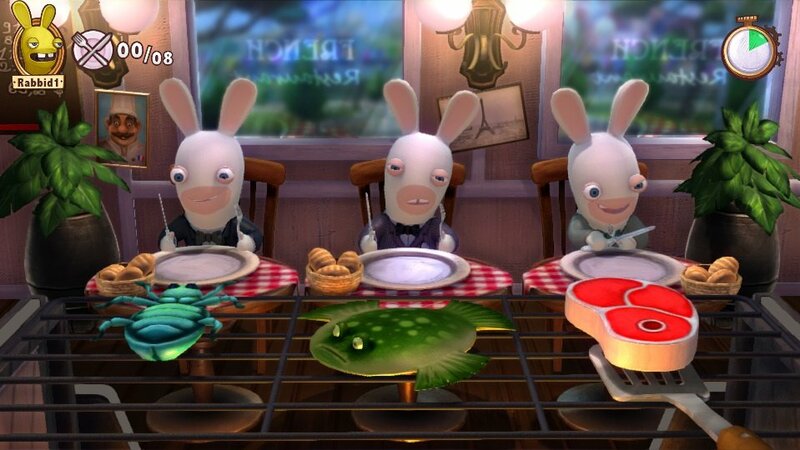 Those pesky Rabbids come to Wii U! 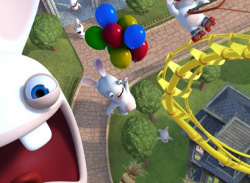 Rabbids have taken over our beloved amusement park! And they plan to make the most of their day by invading all of the attractions! They don’t intend to wait in lines like everyone else or stay seated during the whole journey! 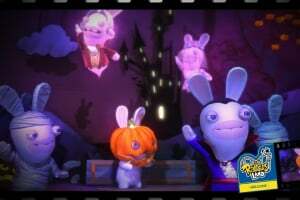 As Rabbids will always be Rabbids, you’ll see them misusing the rides and going bwaaah at a souvenir shop before stopping in an overpriced themed restaurant. 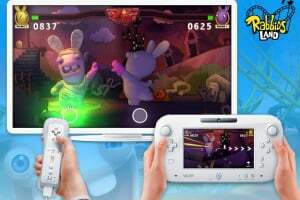 So whether it’s a sunny or rainy day, just grab your Wii U GamePad and get ready to invade Rabbids Land! 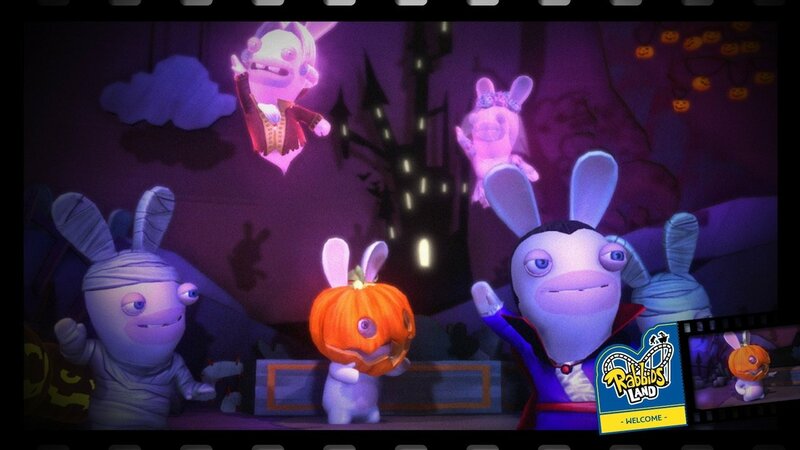 Rabbids will have a lot on their plate: the princess castle, pirate boat, haunted house, tunnel of love, roller coaster… there are around 20 attractions waiting to be invaded! 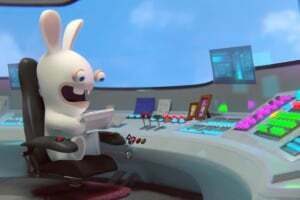 The trophy race is at the center of Rabbids Land. 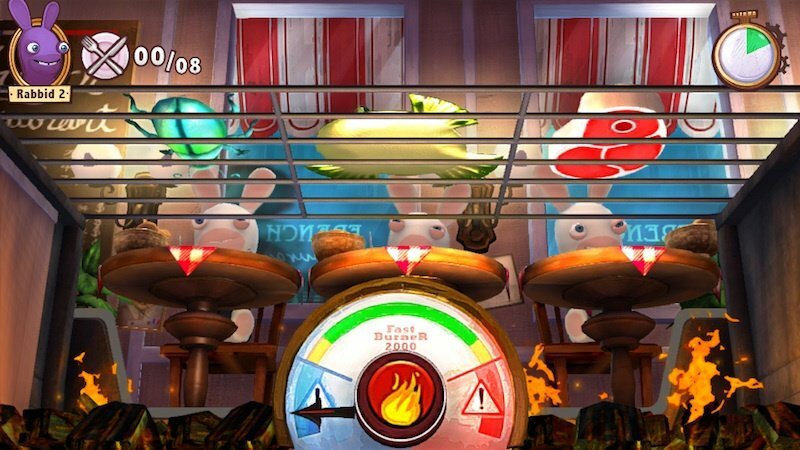 It’s an arena where you’ll be able to play up to 4 players, turn by turn and in which you compete with your friends to collect trophies. 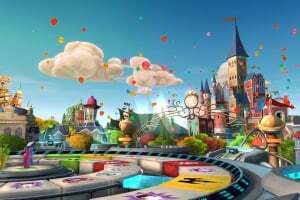 The trophy race has many to offer: special events that will change all the rules of the game, plus unique items to beat up your friends and steal their trophies. 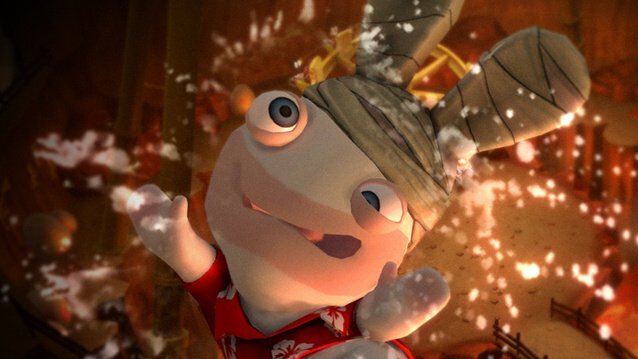 For example, you may find a baseball bat to hit other Rabbids and steal their trophies or throw a cow at your opponents to make them loose trophies. 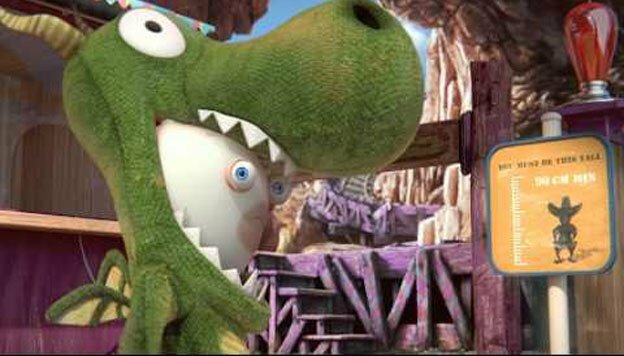 You’ll even be asked stupid questions, and be catapulted to the attractions! 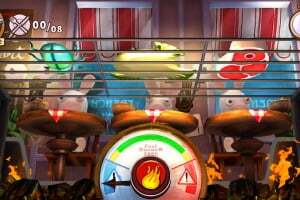 The trophy race is available in long and short sessions. 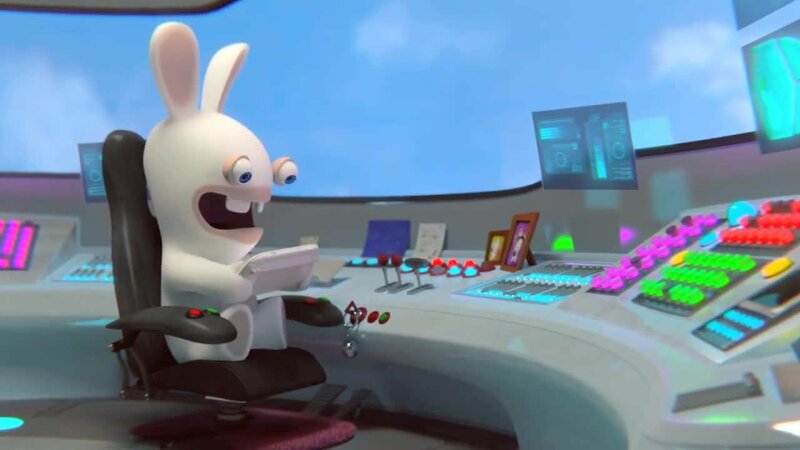 Whether you aim with it, tilt it, blow on it, watch it, steer it, share it, touch it, draw on it, or even dance with it… Rabbids Land will allow the players to exploit all the potential of the Wii U through wacky interactions. 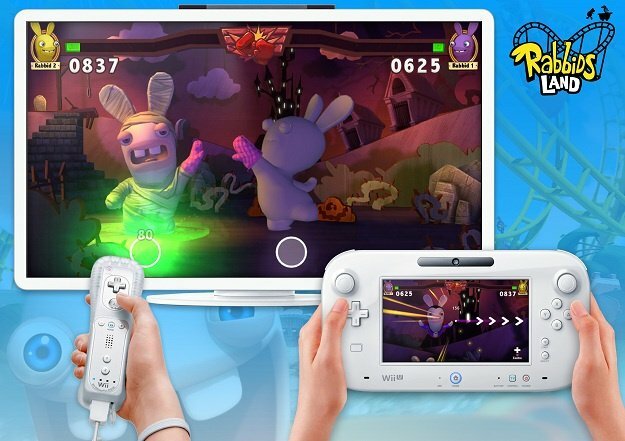 Thanks to the Wii U GamePad, each attraction of Rabbids Land offers asymmetrical gameplay, allowing each player to experience the game from different perspective and making the replay value considerably high. 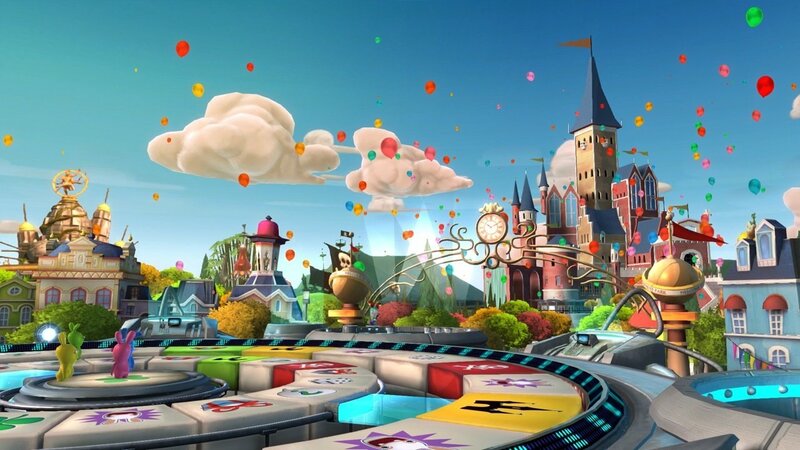 Whether you play co-op or versus, the attractions will challenge you and your friends to interact not only with the controller, but also with your buddies: communication is central to the game and each player can help or mislead each other. Is someone else camping out in front the TV? No problem! With the Wii U GamePad, you’ll be able to play the full game on your own without the use of a TV. 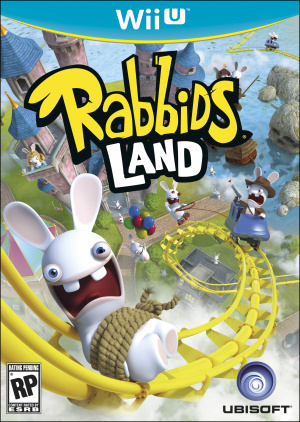 The game sounds interesting, and i wonder what kind of rabbids game it's going to be. Ubisoft, please stop the Rabbids series! 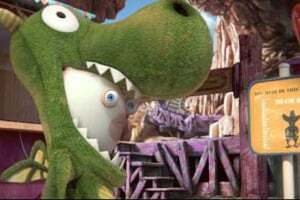 I just want Rayman!